I updated my SlackBuild script for LibreOffice, the successor if you want of the OpenOffice suite of applications. The updated script will download all the required source tarballs for you, so that you can separate the download and compilation process (and create packages without having to be on-line). Not having to wait for a source check-out from the on-line git repositories saves alot of time when you are rebuilding the software. I also made some modifications that were requested through feedback on my original article about LibreOffice. The compiler flags no longer contain “-O2” which should make the resulting binaries compatible with 3rd party OpenOffice extensions. There is no longer a separate “en_US” language pack… it should not have been split off from the main package in the first place. I also added a few more language packs – if you still miss yours, let me know so I can add that too! And I created symbolic links to allow “related languages” to use the auto-correction feature of the included languages. For instance, if you live in Belgium and your Slackware is using the “nl_BE” locale, LibreOffice will now be using the “nl_NL” autocorrection. Get the packages and scripts at http://slackware.com/~alien/slackbuilds/libreoffice/(mirrors: http://taper.alienbase.nl/mirrors/people/alien/slackbuilds/libreoffice/ or http://slackware.org.uk/people/alien/slackbuilds/libreoffice/). 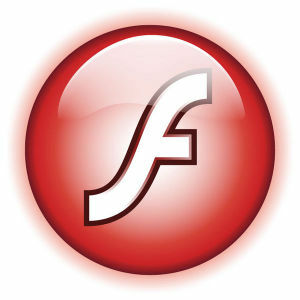 Adobe released a new preview of their Flash Player plugin. Again, both 64-bit and 32-bit versions of Linux are catered for. Posted: 1 December, 2010 in Slackware, Software. I don’t think you’ll have to worry about that error. It is generated when “update-desktop-database” is run and it points out errors in the file that defines the gxine menu entry. VLC should not be affected by this error. Well, this libreoffice fellow is quite huge.Its size. Hmmm… It’s even bigger than O.O 3.2.1. Wasn’t it supposed to be mean & lean?? I never wrote “mean and lean”. It does start, and work, very fast, which is what matters to me. I checked the size of the OpenOffice.org 3.2.1.4 package built for GnomeSlackBuild (this is essentially go-oo I believe but the GSB devs may correct me if I am mistaken), and that is 98 MB in size – fairly comparable to mine (it’s a .txz package as well). Note that LibreOffice has some stuff incorporated which the old OpenOffice.Org was lacking due to the restrictive policy of SUN and later Oracle. These companies did not want to see capabilities in the openoffice suite that they were selling for money in their commercial versions of the software. 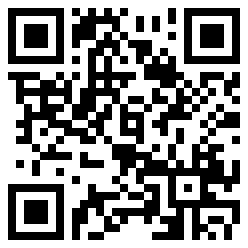 Try it out, then tell me if it was worth the few extra MB. I have also another problem with okular (probably this has nothing to do with the previous message) from kde 4.5.3. It can’t display postscript, bu dvi and pdf are OK. gv is working well too. What are you doing in LibreOffice when you get that crash? I see that your crashes always happen in the same libz.1.2.5 library. – It can also work without crashing (but I did no do many things). multilib. I think that a link is missing in /lib. And in fact google-earth did not work. After looking around it seems that ld-lsb.so.3 is missing. running now with that change. The other 32_bits programs (acroread and peazip) work as before. The file /lib/ld-lsb.so.3 is part of the LSB version 3 (Linux Standard Base, a framework to allow software vendors to create binaries that work across many different distributions). Slackware is largely LSB-compliant but does not ship this particular symlink. Indeed, running “ln -sf /lib/ld-linux.so.2 /lib/ld-lsb.so.3” on Slackware (either 32-bit or a multilib system) is entirely acceptable. Creating that symlink will not break anything and apparently it is required for Google Earth now to have that symlink. >The Document Foundation would like to thank all contributors who made this release possible. >This release candidate is not intended for production use! >The final release of LibreOffice 3.3, for production use, will be available soon. So…I’m at a loss. Ever since I updated my flashplayer, the sound in Firefox is gone. Video plays smoother than ever, but that doesn’t really matter much without sound. It doesn’t matter if the sound is coming from a flash file or some other kind. I downgraded and the issue is still there.